15 April marked the 100th anniversary of the most tragic maritime disaster in history. A century on and we are still fascinated by the sinking of the world’s largest ship, the Titanic. Shortly after the disaster in 1912, it was written in The Times that, “What moves us in this matter of the Titanic seems to be the massiveness and at the same time the unexpectedness of the blow”. After all, when the Titanic was built, it was considered to be practically unsinkable. Of the 2,223 passengers and crew on board, 1,517 perished after the ship struck an iceberg at 11.40pm on 14 April 1912 and slowly sank below the freezing waters of the Atlantic at 2.20am the following day. Countless tributes have commemorated the 100th anniversary of the catastrophe, from a 3D version of James Cameron’s Titanic to, disturbingly, a real-time Twitter account so you could follow the events as they happened a century ago (people genuinely tweeted telling them to turn the ship around!). Most interestingly, ITV created a costume drama, simply named ‘Titanic’. This four-part miniseries written by Oscar winner Julian Fellowes, tells the human stories behind the sinking of the RMS Titanic. Similarities can be seen between the tales of this series and Cameron’s 1997 film; however the miniseries doesn’t primarily focus on two star-crossed lovers. ‘Titanic’ features a wide range of characters, real and imagined, from every class. During the first three episodes their narratives are developed and intertwined, with each episode ending in a cliff-hanger as the ship begins to sink. In the first episode, which focuses mainly on the first class passengers, we meet a family similar to that of Rose’s in Cameron’s Titanic. In this case, we have Lady Manton, a snobby woman who looks down on the lower classes and expects more of her rebellious daughter, Georgiana. Sound familiar? And it wouldn’t be a tale of Titanic without a love story; we witness romance blossoming between Georgiana and Harry, the handsome son of an American millionaire. The second and third episodes focus on the perspectives of the second and third class passengers. Two Italians, Mario and Paolo, manage to board the ship at the very last moment to go to New York a start a new life (not unlike that of Jack Dawson in the film). Paolo, working as a waiter falls for stewardess Annie Desmond and impulsively asks her to marry him in the third episode. The fourth episode, aired on the anniversary of the sinking, brings these narratives together and the story unfolds as we find out who survives. Throughout the series we see a constant clash between the social classes, showing the division was significant in those days. This was most evident by the fact that first class women thought that they should get to board the lifeboats first. In actual fact, it didn’t matter who you were, as there were numerous casualties at every level of society. The struggle to safety in each episode does bring a tear to the eye as families and couples are separated. You really feel for the characters, and you believe that there were people like this on the ship that sank 100 years ago. 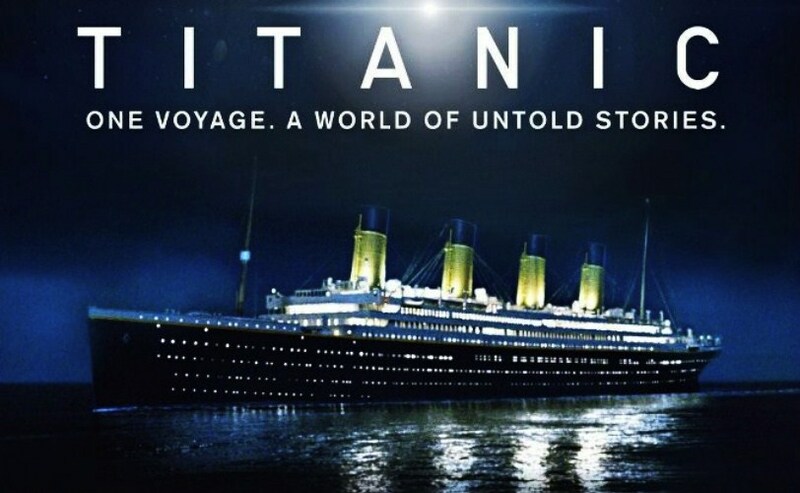 Producer of the Titanic miniseries, Nigel Stafford-Clark said, “The Titanic story is one of terrible tragedy. A whole cross-section of Edwardian society died – everyone from noblemen and millionaires to Italian waiters, Irish emigrants, servants and ordinary working people and their families. We’re telling what happened through the lives – and deaths – of both real and fictional characters on board, and viewers will be taken on a heartwrenching journey as it’s revealed which of the characters they’ve got to know survive or perish. We hope it will be a fitting tribute.” If you missed it you can still catch up on ITV player. I have to admit I found the series rather confusing at first, with the intertwining of the characters and events, and little said of the actual damage to the ship until really the last episode. It was rather weird in a way, but I still enjoyed it. For the centenary we went to a showing of A Night To Remember, probably the best movie about the Titanic, although not as fancy as the more recent James Cameron one. Living in Southampton where The Titanic sailed from, you realise what an impact this disaster had on the city, as many of the crew were from here, and over 500 of those who lost their lives were from Southampton.